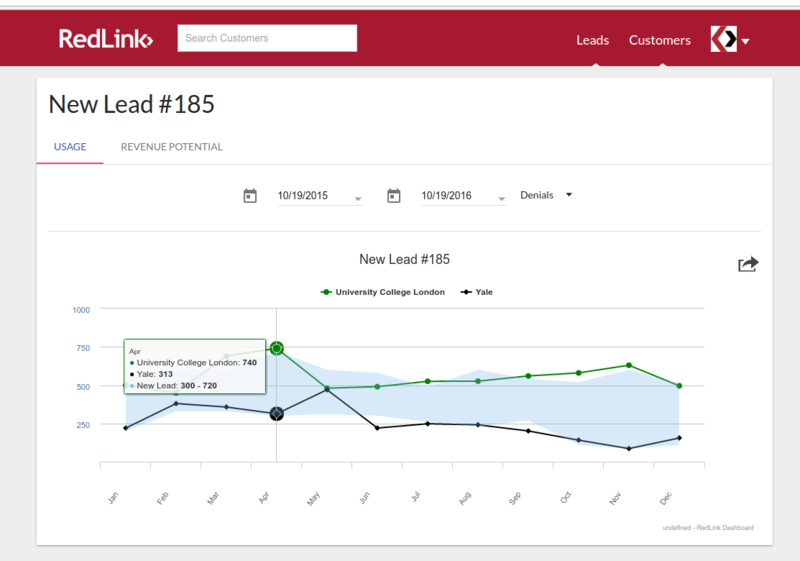 RedLink’s SiteLeads™ has been on the market less than six months now, and already publishers using it are adjusting their strategies, finding new tiers and sources of subscription sales opportunities, and realizing that the rumors of “peak subscription” may have stemmed from an inability to overcome a market blindspot. Testimonials have already come in attesting to the product’s power and value. In just six months, SiteLeads™ has identified more than $14.5 million in potential new revenues for its clients. SiteLeads™ turns anonymous traffic and denials from non-customers into visualized opportunities — via our Opportunity Map, list of leads, projected usage bounded by current customers, and revenue projections. Easily implemented and affordable, SiteLeads™ works for publishers small and large as the data provided by SiteLeads™ allows salespeople and institutional administrators to review the same demand they are both interested in addressing. This shared blindspot — for buyers and sellers, to put it in commercial terms — can leave users frustrated but silent. SiteLeads™ reveals their needs in a way that everyone can appreciate. To learn more about SiteLeads™, please contact us.